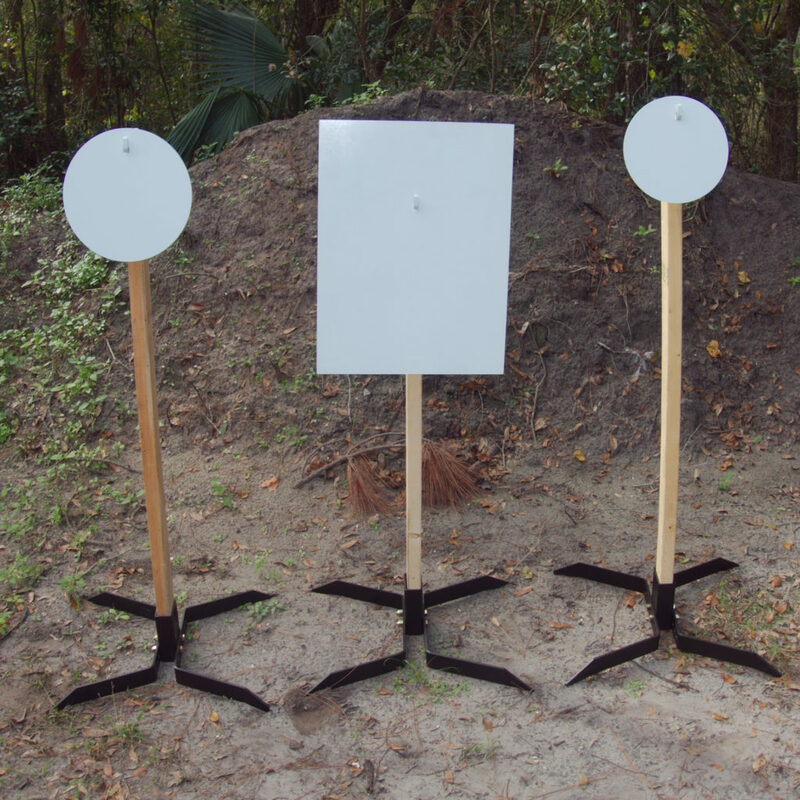 Gong can easily be turned over for clean shooting surface! 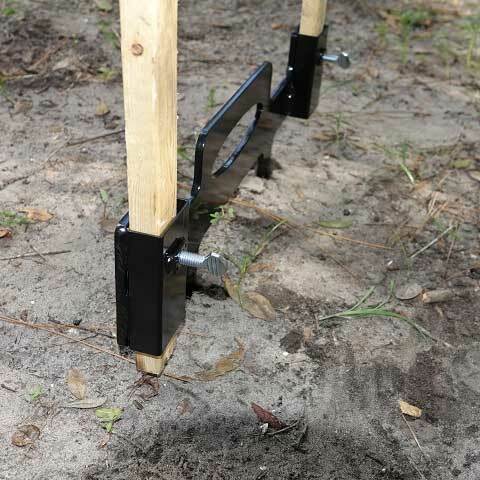 The Superior Ideas 2×4 hook combo is has a unique design that allows you to eaily turn over the target for a clean shooting surface. 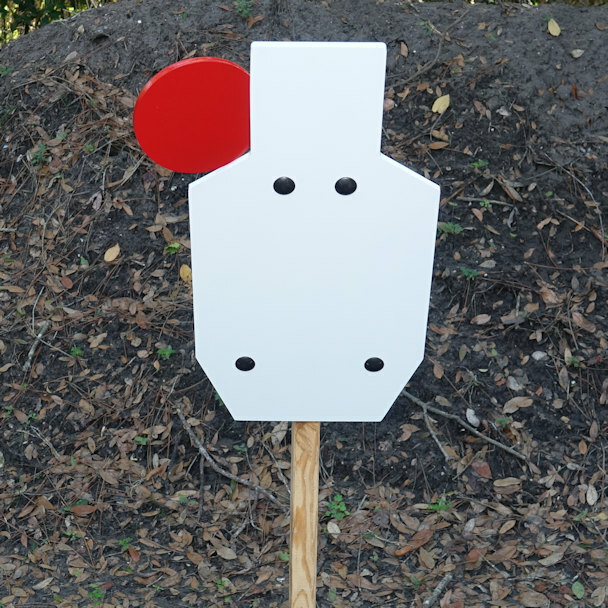 It also extends the life of your target because you can shoot both sides! 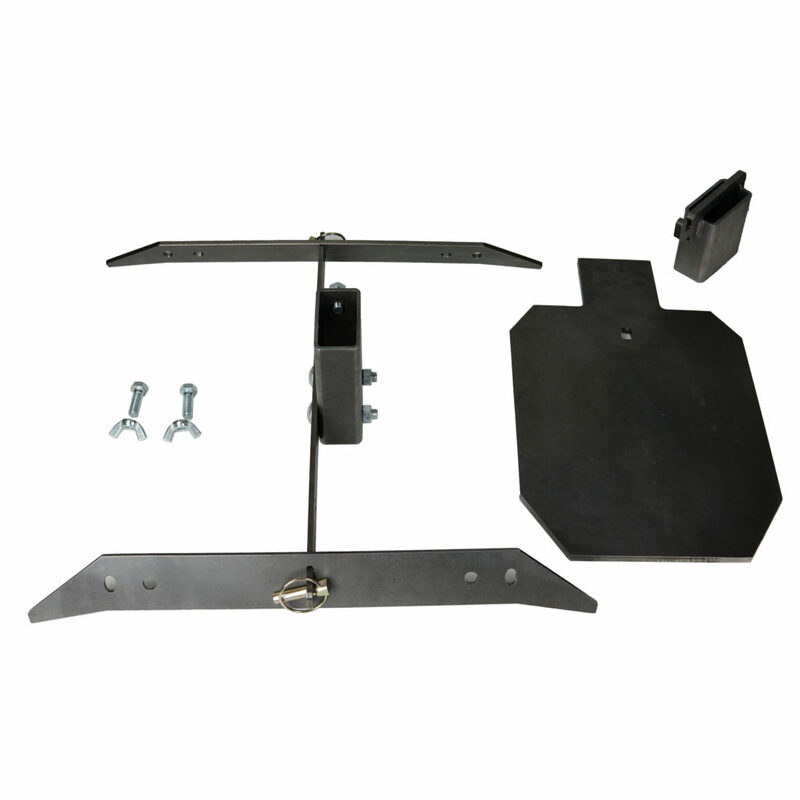 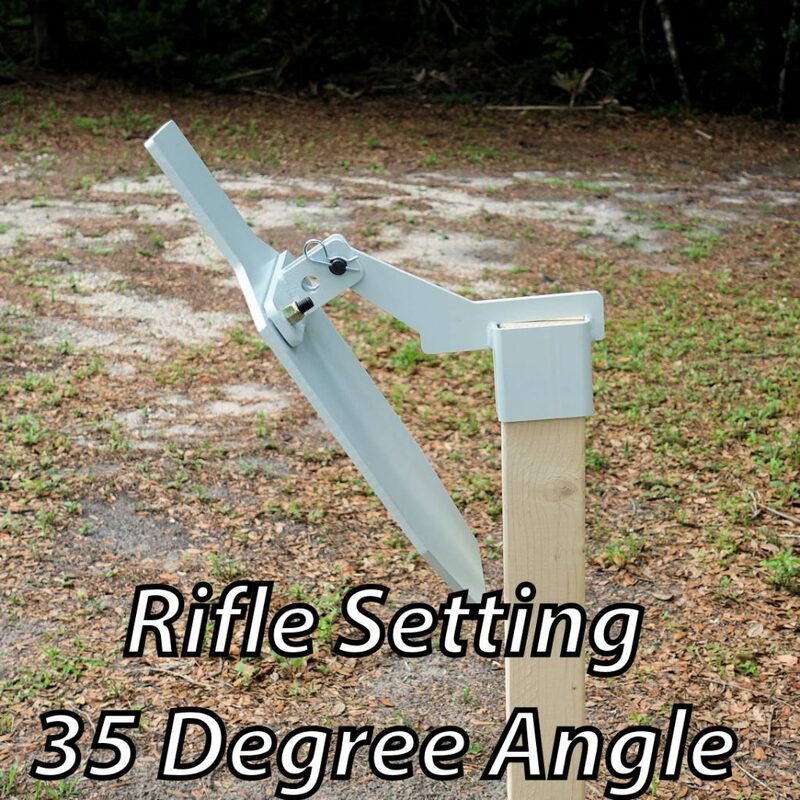 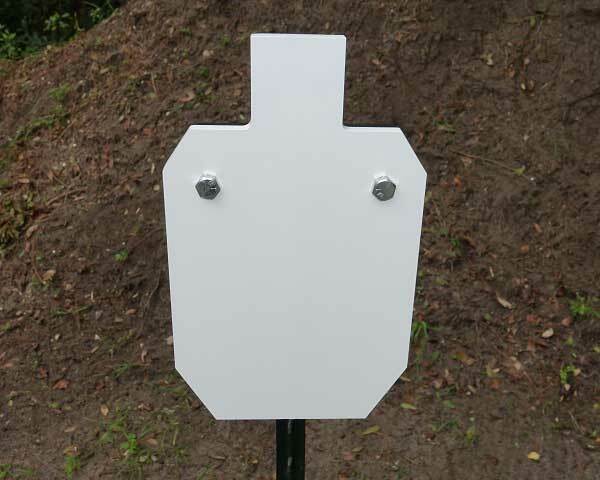 Includes 2/3 IPSC Silhouette AR500 3/8″ thick Steel Silhouette Target with center hook mount hole, AR500 3/8″ hook mount and 2×4 stand. 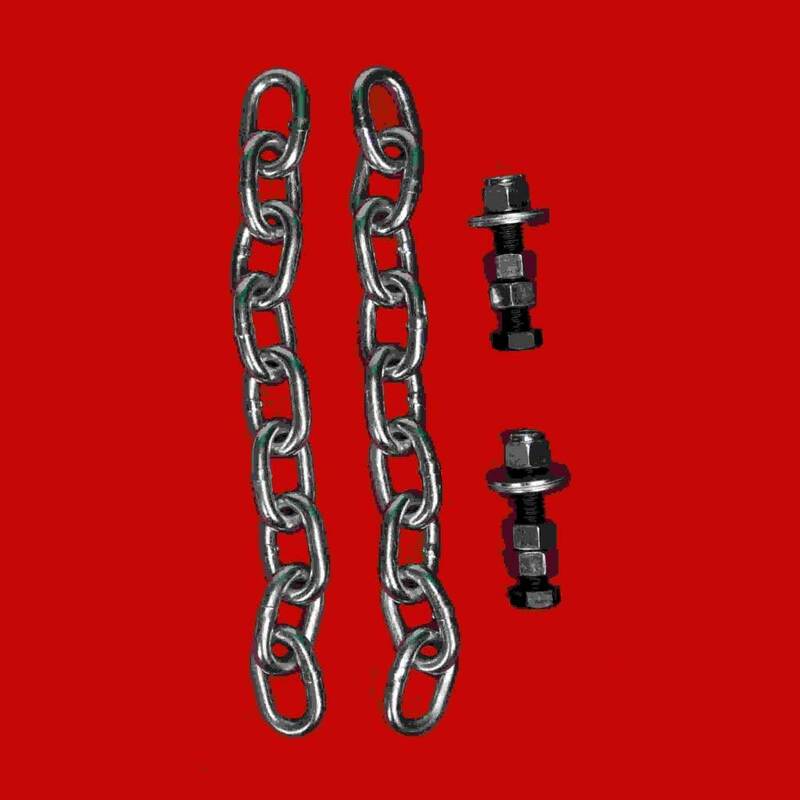 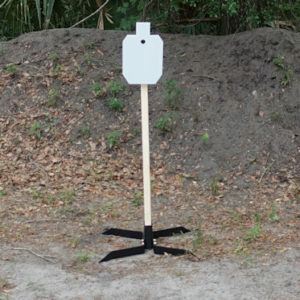 Hook mount is made of 3/16″ steel with a 3/8″ AR500 hook. 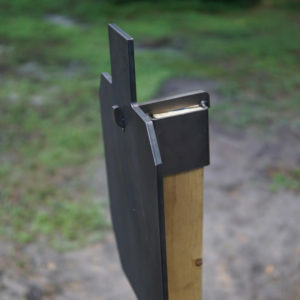 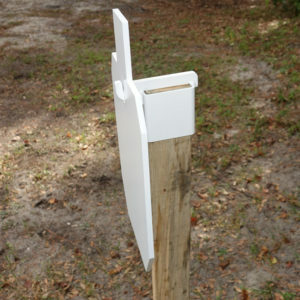 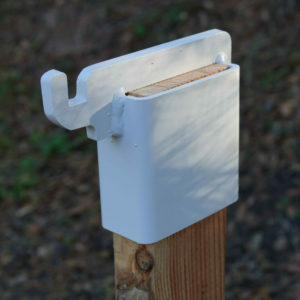 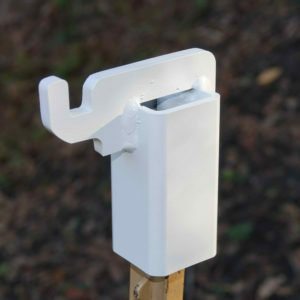 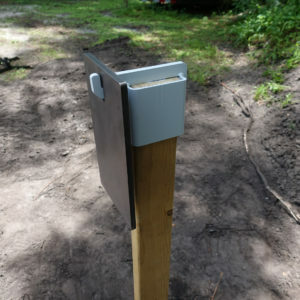 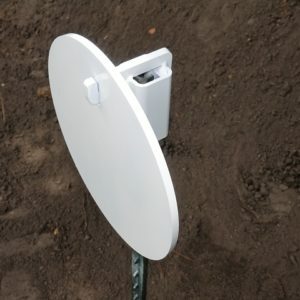 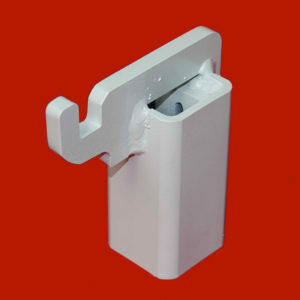 The hook mount fits snugly over a 2×4. 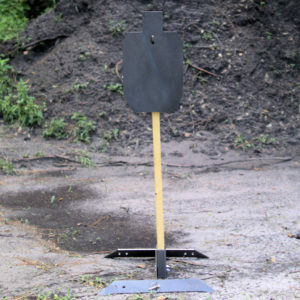 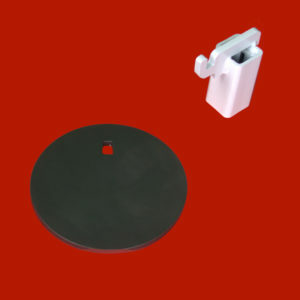 AR500 gong or target hangs in front of the 3/16″ mount, protecting it. 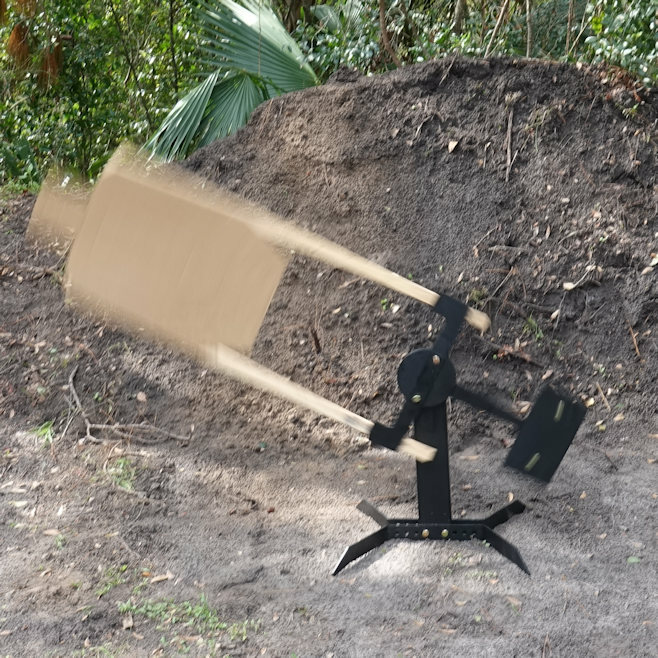 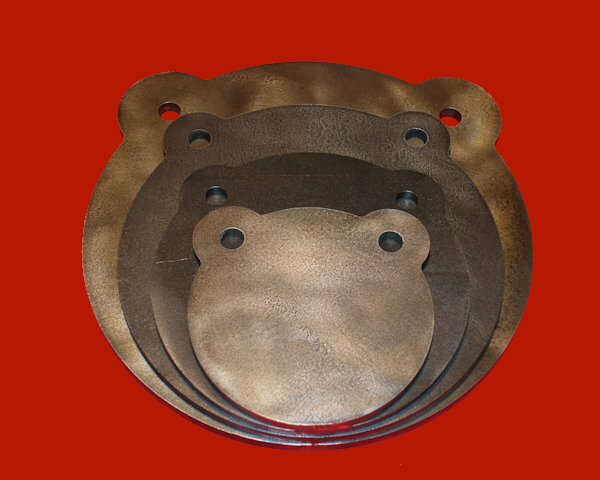 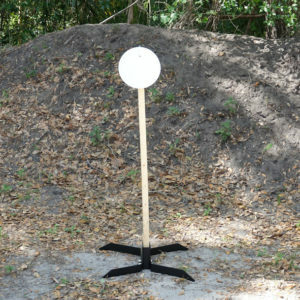 Our unique design allows you to easily flip the gong over for a clean shooting surface and extend the life of your target. 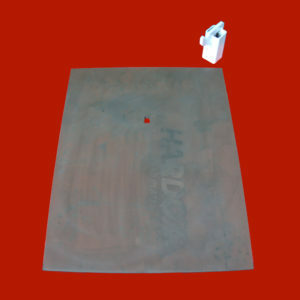 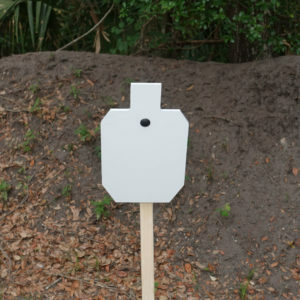 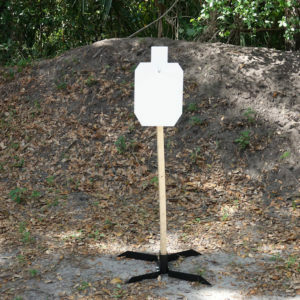 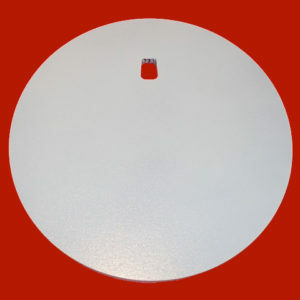 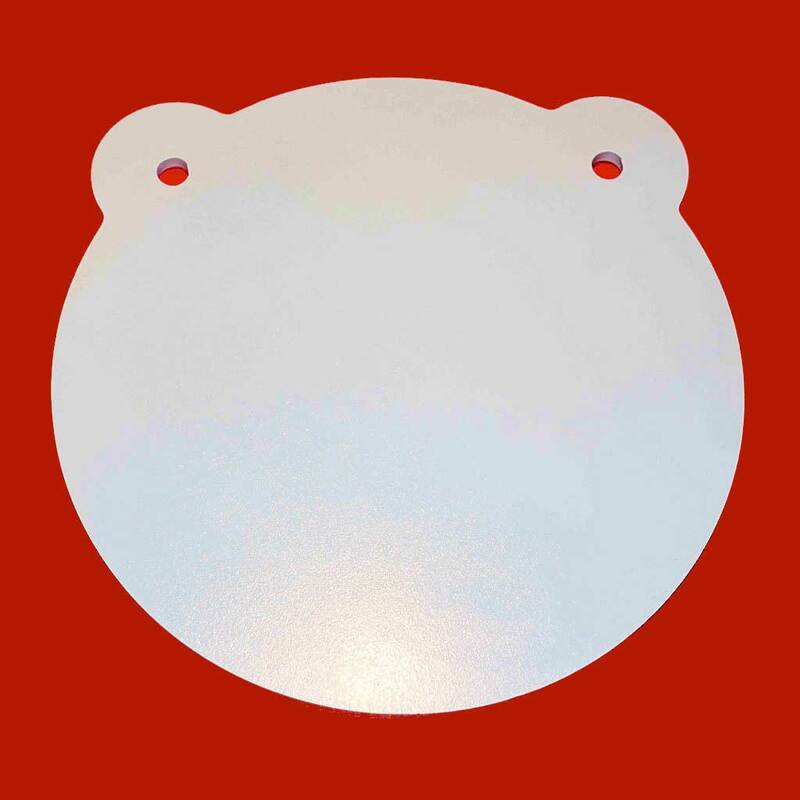 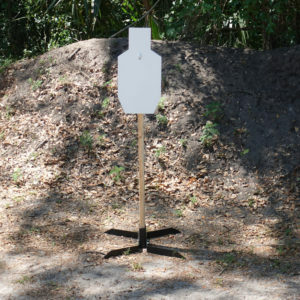 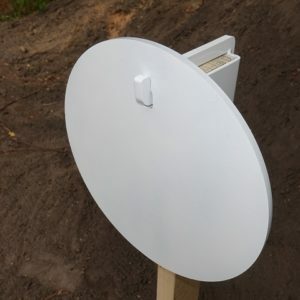 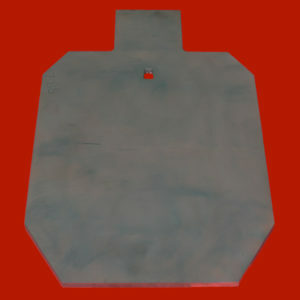 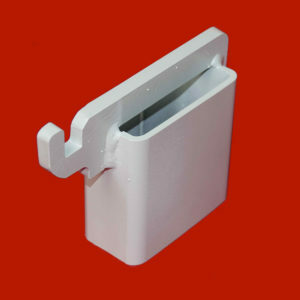 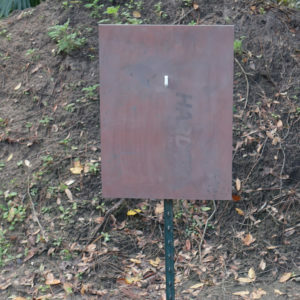 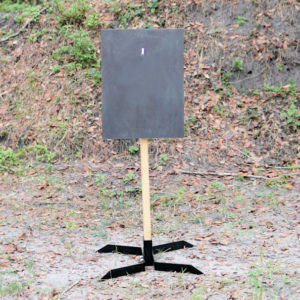 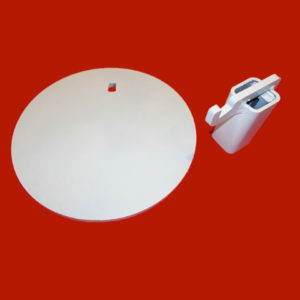 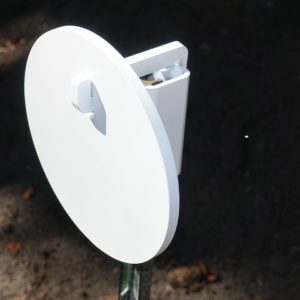 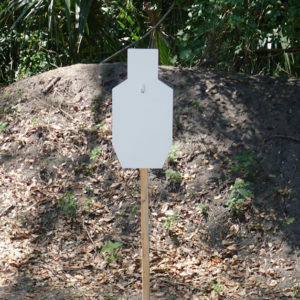 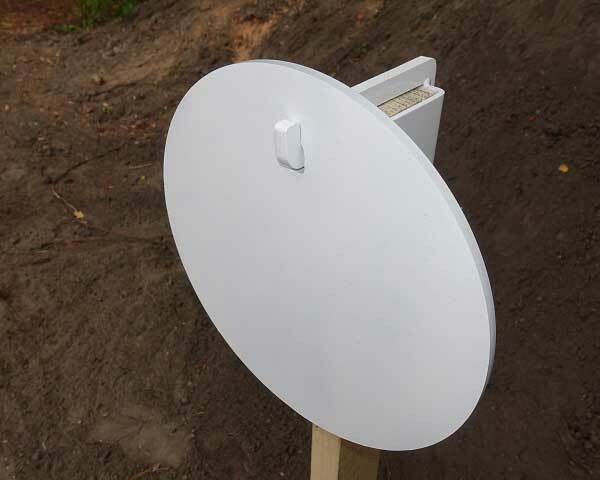 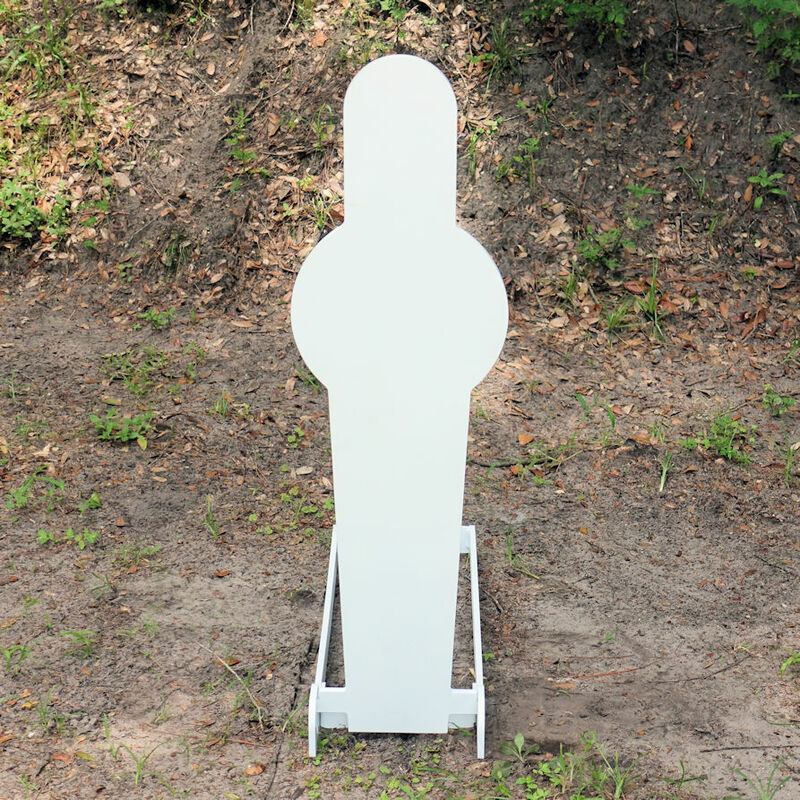 The target is made from 3/8-inch thick AR-500 steel painted gloss white. 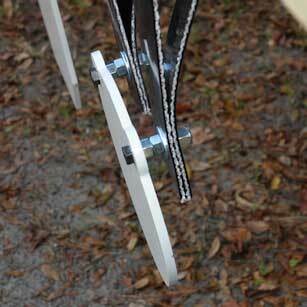 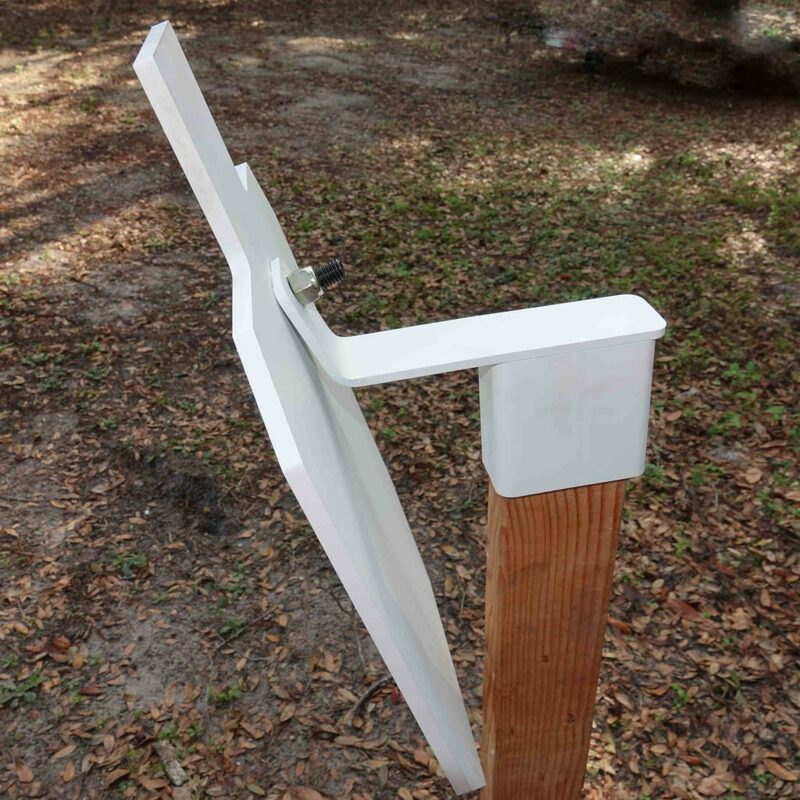 Upgrade your 2×4 stand to a heavy duty 2×4 stand with our conversion kit for greater stability! 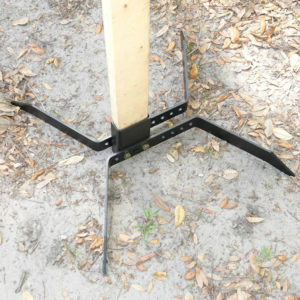 Call 386-742-7105 for quantity discounts. 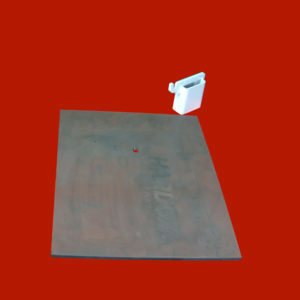 We can combine different sizes to accommodate any and all Steel Challenge Stages! 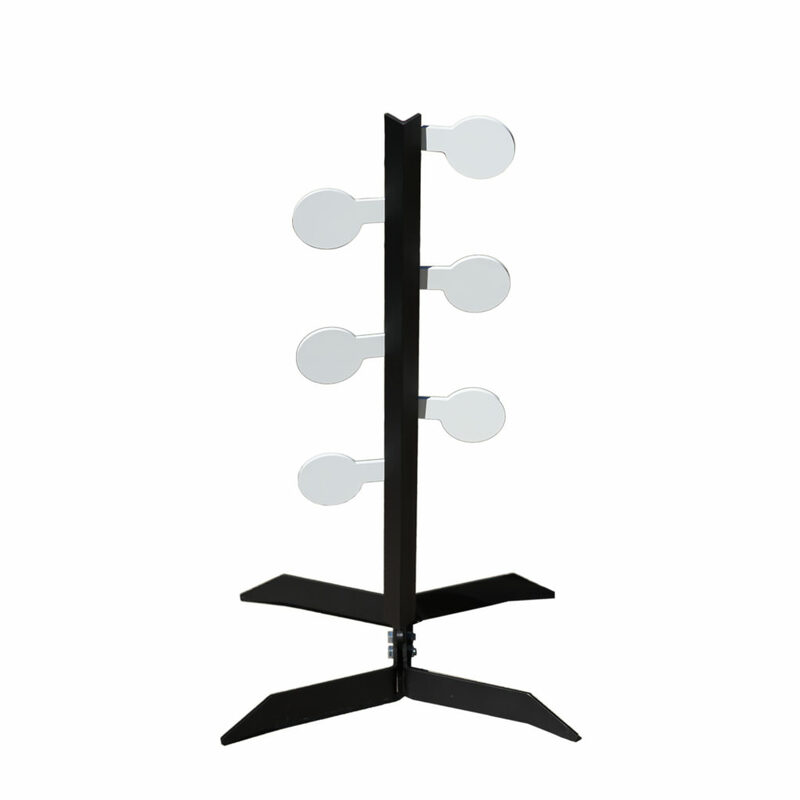 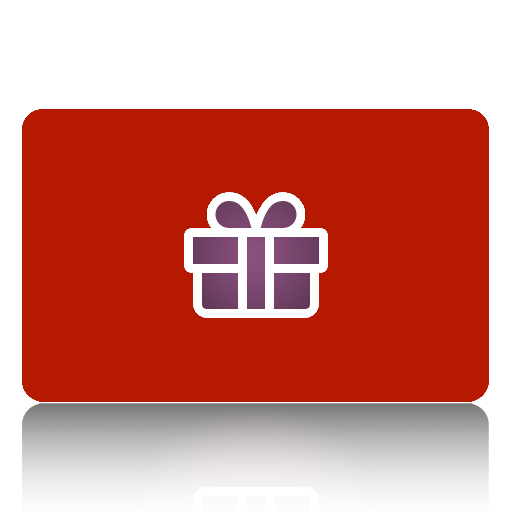 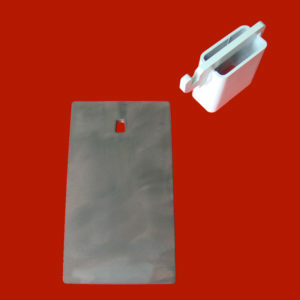 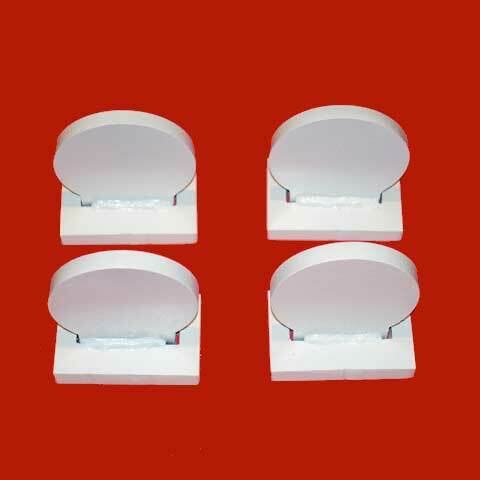 Click here to view this product.